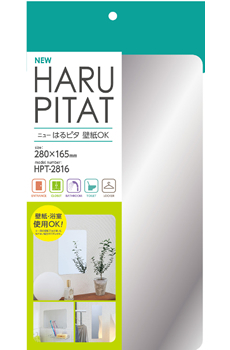 Unbreakable and ecologically safe mirrors from Japan. Two times lighter than a usual glass mirror! Sticky side without glue use! Simple attachment, removal and transfer in any place! Resistant to scratches, shocks and crashes! Absolutely safe, perfect for children’s bedroom! – Simple and fast to attach by a sticky side on the back surface of the mirror. – Suitable for places where it is undesirable to drill into a wall or there is a risk of damage: entrance, doors, closet, wardrobe, room walls, corridors, lockers, bathrooms, toilets, etc. Vinyl wall-papers, tile, plastic, colored metal, stainless steel, glass, concrete, and others. 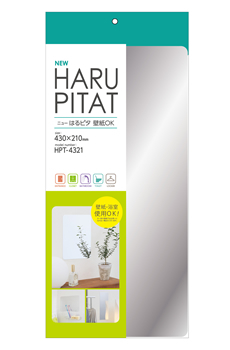 * A part of special wall-papers can not be sticked to this mirror. 1. Clean surface for attachment from dirt, dust, water, oil, etc and allow to dry. 2. 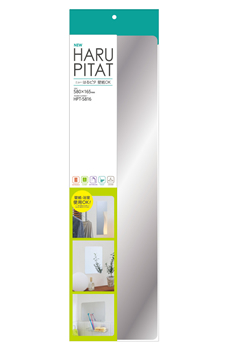 Remove the protective film from the sticky side located on the back of the mirror. * The protective film can be separated easily by use of adhesive tape. 3. Attach mirror plate to a flat surface tightly, smoothing with cloth. * When using a tile wall watch that the sticky basis are laid down on a flat surface of a tile, avoiding joints and seams. It isn’t recommended to fix on a mosaic tile or too rough surface. * After attaching to the polished or lacquer surface after a long time there can be traces. * During the winter period after removing the protective film, it is recommended to warm the sticky places with a hair dryer for stronger attachment. * After attachment to a wall with wall-paper be careful when removing or transferring the mirror in order to not damage the wall-paper surface. * Sticky side does not contain a glue, but may slightly damage the surface where the temperature is above 40 ℃. 1. Don’t attach the mirror in places where the temperature is above 40 ℃ or lower than 0 ℃ to avoid its possible deformation. 2. Don’t fix the mirror in places with a constant contact with water (shower), with mosaic tiles or other rough surfaces. 3. Don’t use solvents and detergents as with usual mirrors. 4. When cleaning the mirror use soap or neutral detergents with a soft sponge or a cloth. 5. Avoid getting detergents in the gap between the sticky side and the attached surface. 6. Though the mirror has a special hard coating, it is not recommended to use abrasive cleaners, powders and other household chemicals or kitchen items such as firm sponges, rigid brushes, etc. 7. Don’t use gasoline, thinner and other organic solvents. 8. In case of getting hair-dye, bleach and other alkaline chemicals on the mirror surface immediately wash them away with just water. 9. Don’t use aerosols or the liquids preventing mirror fog. They won’t be effective because of the special hard coating. 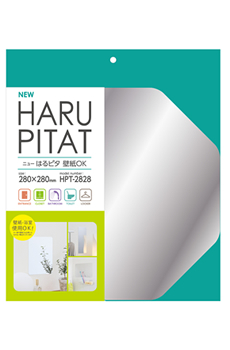 For this purpose we can suggest unbreakable Fog Free Mirrors with antifogging effect or Fog Free Films for usual mirrors. 10. On mirror removal or transfer, accurately separate places of attachment from the upper edges. 11. To remove the mirror don’t use excessive force try to not to bend or damage the mirror film. 12. 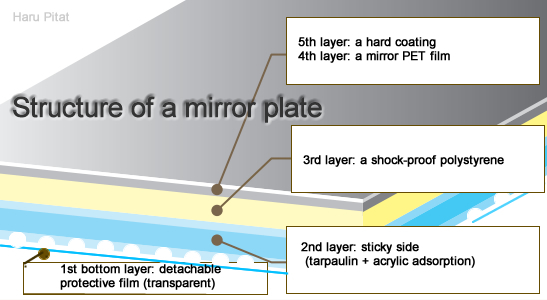 The sticky side of the mirror plate has no glue and attaches as if sticking to a surface. The surface has to be flat and straight without any air bubbles. It is reccomended to check the attachment from time to time to ensure a tight fit.